"Reifen, Radial T/A P255/60 R15"
Tire Diameter Range: 27-27.99 in. Minimum Recommended Wheel Width: 7.00 in. 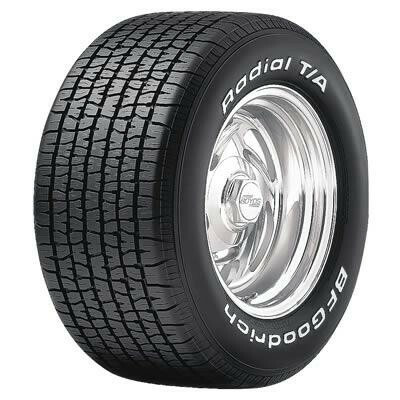 BFGoodrich Radial T/A tires feature unique tread block phasing, which permits high performance with low road noise levels. 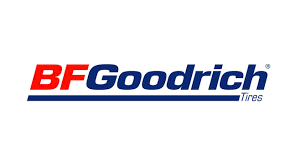 Other features include g-Wedge™ sidewall stabilizers to improve lateral stability and steering response, a new tread compound with variable groove angle geometry to yield better wet and dry traction and control, and polyester/steel/nylon construction for maximum carcass strength. Plus, Radial T/A tires offer the consumer the choice of white lettering on one sidewall and black on the other, to complement the look of any vehicle. They're S-speed rated up to 112 mph. Reifen, Sportsman S/T, P 255/60-15, Radial, 1,885 lbs. Reifen, Sportsman S/T, P 235/60-15, Radial, 1,642 lbs.